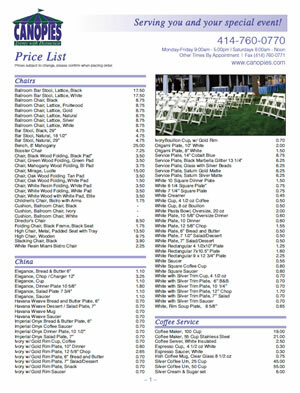 Click on the image below for a downloadable pdf price guide. This price guide is not all inclusive. If you have a need that is not listed in our guide please contact us at 414-760-0770!